I've always been impressed with Australian webstores that sell interesting high quality products with reasonable prices. 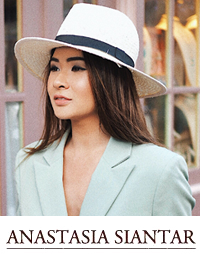 A few weeks ago, I found this particular Australian based online store called The Fashion Fanatics and I was so happy to know that they do ship to Paris, in fact they ship worldwide! I scored this qulited mini skirt with neon floral prints from their website not long ago and once again I must say that I'm really satisfied as the product arrived safely and it looks even better than the photo on their website. I can't wait to order more! The quilted skirt looks really cute! This skirt would be so perfect for the Australian summer coming up. Yes, I know what you meant by 'high quality', it looks thick and comfortable. Totally love your sweatshirt naz! love your shoes! nice outfit too!